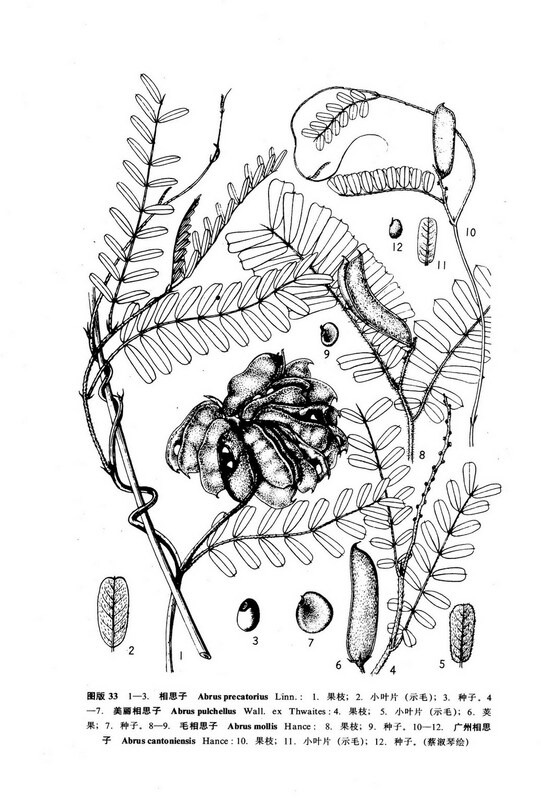 Abrus pulchellus Wall. [Cat. n. 5819. 1831, nom. nud.] ex Thwaites, Enum. Pl. Zeyl. 91. 1859; Baker in Hook. f. Fl. Brit. Ind. 2: 175. 1876; Gagnep. in Lecome, Fl. Gen. Indo-Chine 2: 359. 1916;中国主要植物图说•豆科640.图629. 1955; Verdc. in Kew. Bull. 24: 246. 1970.——A. fruticulosus auct. non Wight et Arn. : Breteler in Blumea 10: 612. 1960, p. p.